SYHA was founded in 1973 and are a community-based non-profit organization that provides the most family-friendly and affordable way to learn and play hockey. 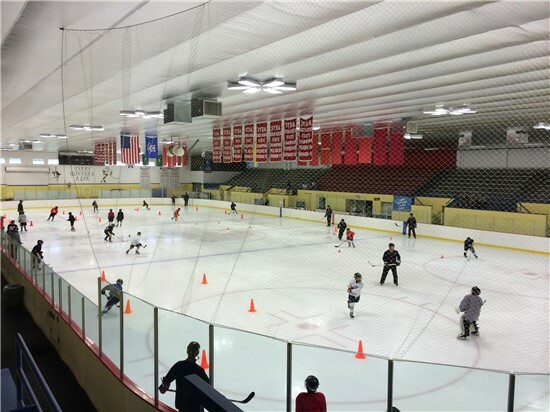 Tiger Sharks is a learn to skate and play program for beginners. Most participates are between 4-6 years of age. There are fall (October-December) and winter (January-March) sessions. Sponsorship makes it possible to offer this program at a low fee for Stamford Residents. In the house league skating and skill development are still the focus but players also begin the compete in games. For fun an fair competition players are matched based upon skill level and age. There are house league programs at the Mite (8 and under) and Squirt (9-10) levels. Play starts in mid-October and runs through March. For players who are ready for a higher level of commitment there are Sharks travel teams at many different age and skill levels. Travel play consist of multiple practices and games per week. Tryouts are in the spring and the season runs from September through March.